3 amazing women bringing open jams to a venue near you! This Jazz Brat loves live music and I have found the best place to go for some jazz or funk is ANYWHERE there is an open jam session. Three of the best (and very different) jams in the city are all hosted by extraordinary women with wonderful tales to tell, and conveniently all on different days! I was able to get out to all three this past week and I'm still grinning ear to ear. I actually met Shahi many many years ago. I was (get ready for this shocker) her Sunday School teacher! I bumped into Shahi last fall on the subway of all places. My Mom and I were coming back from a Mirvish production when low and behold, right on the subway train, there was Shahi and her entourage, singing a cappella and promoting her run on the first season of ‘'Canada's Got Talent'’, where she was voted top 20 for her sultry jazz style vocals! That cute little girl had turned into a stunningly beautiful and talented woman. Her success as a singer was no surprise, at 9 she had already sung in front of very large audiences at the Metro Convention Centre and had won awards for her powerful voice. During the years that I had lost contact with Shahi she had built up an impressive artistic resume both as a dancer and singer. A little while back Shahi decided that along with her many other projects she would start a weekly jam showcasing funk, soul, reggae, jazz and a bit of pop thrown in for good measure. Kultura is a stunningly beautiful venue, reminiscent of an extremely trendy and way too many zeroes in the price tag New York loft. The jam is held in the Sheesha lounge on the second floor. Yes, Sheesha lounge. 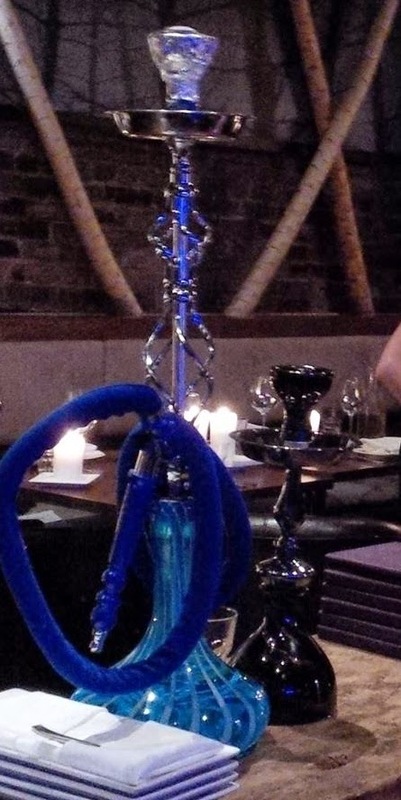 There are gorgeous ornate bongs everywhere that look like they should house a Genie, and halfway through the night they come by with Sheesha menus. The bartender Luis, a sweetheart who started the night by accidentally giving himself a facial wax (don't ask) was a joy and kept everyone's drinks flowing, whether it was water or something harder. The place was packed by 9:30 with musicians and music lovers of all types. This jam is not for New Comers. The musicians are all extremely talented. The night starts with the stunning and statuesque Shahi warming everyone up for 2 or 3 songs before opening the floor. Everyone clamours to get up on stage. This is definitely a sought after jam to play in and believe me a superb one to watch. I was only able to get a couple of pics, silly phone battery! The night I was there I was treated to a house band that consisted of Michael Cooper on anything and everything, Jonn McCann on drums, and Roland Racz on bass. Before things started not one but TWO hand drummers showed up, Daniel and Kevin. Apparently no last names! (Guys if you read this, comment to let people know who you are. You were fabulous!) They both set up and took turns playing throughout the night. Once the floor opened up the guitarists took over (as guitarists have a habit of doing lol!). I worried that meant it would be a rock infused night, but they covered the musical gamut. Things started with a bang when "Player One" brought us some Beatles tunes and then got a little edgier. Sorry, no link for them yet, but great up-and-comers, keep their name in mind. Other highlights of the night were Manny Manolo treating us to the debut of his new song Don't Mess (with my kairetu),Tyanna Nikkita belting out some Stevie Wonder faves and an amazing guy doing a cover of George Micheal's Faith (I have NEVER heard someone do that live, it blew me away- such a guilty treat!). The dancers were on the floor from the very first song, and if I wasn't hindered by note-taking I would have been too! This is a true symbiotic jam, the audience and jammers feeding off each other, both sides highly appreciative of the other. Its the kinda jam where women throw on their sexiest finery and guys spend a lot of money (unless they're a musician) to look like they just threw on some old jeans and a tee. If you are an experienced musician looking to try out new stuff or meet future band-mates, or if you are a lover of great music or a great time, this is the jam for you! Never would have guessed that sweet little girl from Sunday school could throw together one of the sexiest and rockin-est jams in the city. I met Pat Murray a few years back through mutual friends, and hit it off immediately. She is one of the wittiest and friendliest women I know. It was actually quite some time before I heard her sing, and when I did I was blown away. She has an incredible voice and a way of making her audience feel that each and every person is her friend, that you're all just sitting around in her living room. I was shocked, and even more impressed with Pat when I learned that she had been a living donor, donating a part of her liver to the wife of someone she had just met, and by doing so saved the woman's life. After spending 3 months recovering from the operation, Pat helped form the charity A Year A Life which provides financial assistance to living donors. Barely back on her feet Pat went on to record the CD 'Ticket To Ride- The Beatles Book' Backed by an incredible band, Mark Kieswetter on piano, George Koller on bass and Davide DiRenzo on drums, its a must-have CD. This jazz interpretation of Beatles classics is amazing, and partial proceeds from the purchase of each CD go directly to A Year A Life, helping to make it financially possible for other people to be living donors like Pat. Truly inspirational. A few years ago Pat felt there was a lack of regular opportunity for jazz musicians to hone their performing skills in the east end. Pat was motivated and started up Jam-gria. 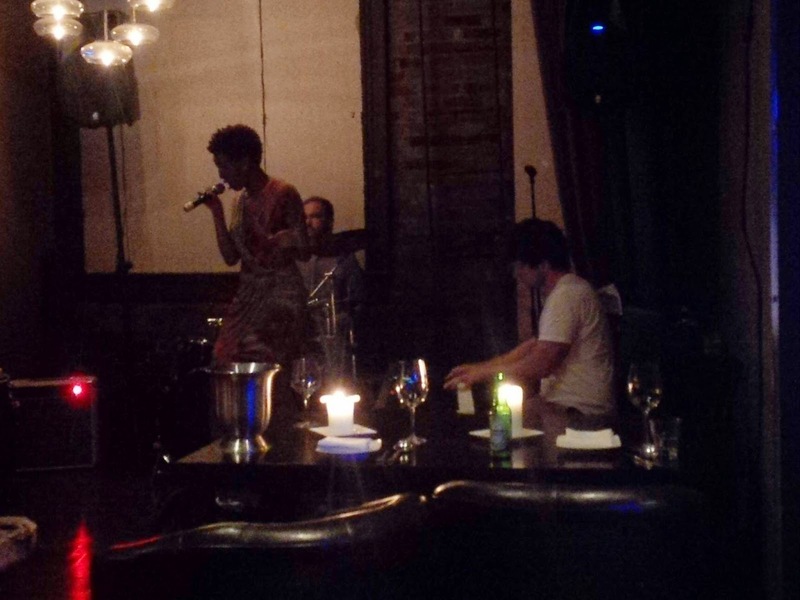 Originally at Remarks Bar and Grill, Pat now hosts Jam-gria at the beautiful 417 Restaurant and Lounge, easily accessible via TTC, just steps from Chester station. 417 is a trendy spacious restaurant in Greek Town with an incredible menu, stunning decor, and exceptionally trained staff. Our waitress Julia, had a spring in her step, a delightful manner, and professional skill you would usually expect only at a five star restaurant. It is the kind of place you can dress for dinner, or pop in wearing shorts and a tee while on a stroll. Well partitioned, but great sight-lines. A wonderful place for live music. I had the pleasure of catching Jam-gria this past Tuesday and had a ball! This week the house band featured the extraordinary Morgan Childs on drums ( My Handsome Man and I have chosen Jazz Gigs to go to SIMPLY because Morgan was playing) Jordon O'Connor on bass (Jordan was in the first act we caught on our Jazz Safari not long ago!) and Michael Shand playing a beautifully bluesy piano. Pat opened the floor after just a couple of songs as 417 was already packed with musicians and singers chomping at the bit! Electric jazz guitar was played wistfully by Michael Allen, and thankfully he stayed up on stage most of the night. Morgan was bumped off the drums a few times, but the men who took his place did not disappoint! One of the very first songs, Girl From Ipanema, a HUGE fave of mine, was sung, and played, by flautist Doriann Forrester. She was exceptional. The jammers continued to shine, some a little shy, others born for the spotlight, but all wonderfully talented. This jam possesses a truly loving atmosphere. Pat, an accomplished vocal coach and theatre arts teacher, is exceptionally intuitive and wonderful at jumping in to fill the gap while the jammers are working out what song to play, allowing the audience to be entertained, but giving the jammers the breathing space they need to be at their best. A wonderful surprise on this particular night was Pat's daughter Ryley Murray getting up for 2 songs including a beautiful duet with her mother. Their joy at being able to sing together was infectious. Many Many highlights, too many to name them all, but a few that stood out were Yetro Avalos Gil on guitar, Bobby Shu on Sax, Linda Carone on vocals, Jesse Malone on trumpet and Shirantha Beddage on baritone sax. Best quote of the night came from the delightfully raunchy Debbie Fleming "Ray Charles was my hero growing up, which I never quite did" Wasn't sure if she meant grow up or Ray Charles! 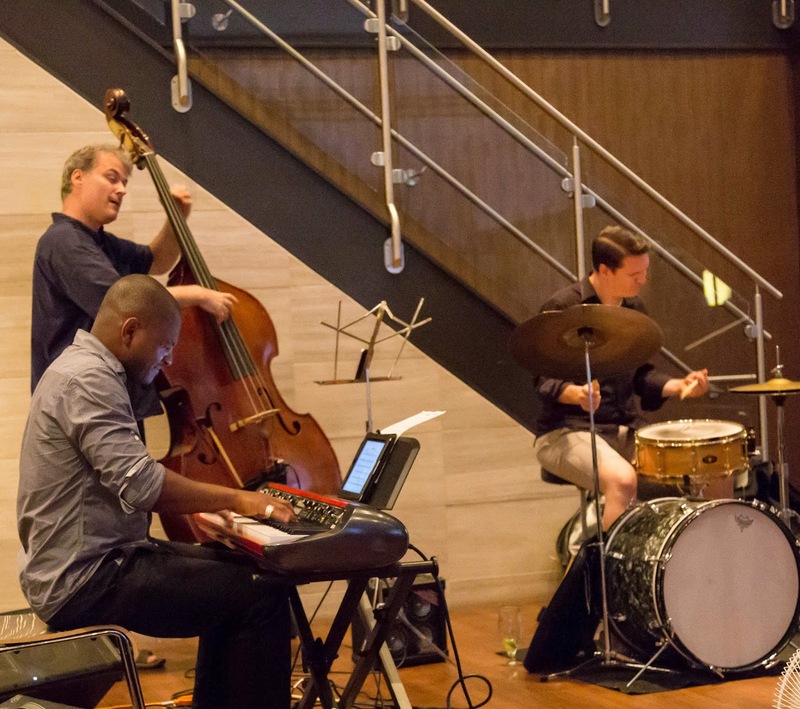 There a too few jams in the east end of the city, and the list gets even shorter when you are looking for a Jazz Jam, so Jam-gria ends up on many professional musicians To Do lists. 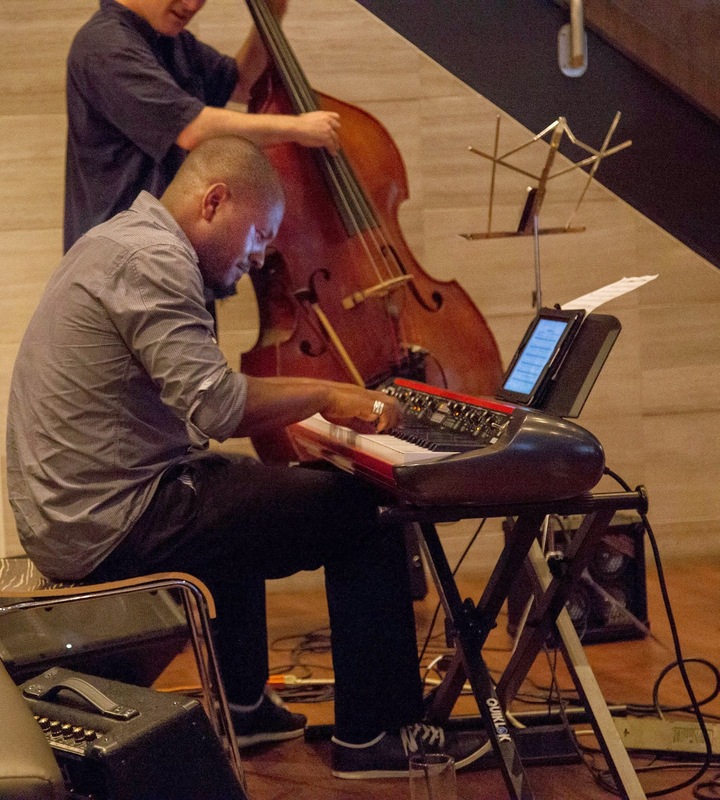 The roll-call of exceptional players who come out to jam with newbies is too long to post, but each week you are sure to see someone big on the Toronto Jazz scene just 'pop in'. Everyone is incredible at making it a comfortable place to perform and learn, as well as a pretty cool jam to watch! Whatever your level, you are welcome here, and its ALWAYS a great show. Maybe one day I can convince Handsome Man to get up there on keys! This was a niche that needed to be filled! Thank you Pat for creating and fostering such a wonderful showcase for amateur and professional jazz musicians and singers to flex their musical chops! AND for putting on a pretty awesome show each and every week! "LIVE MUSIC improves the quality of our lives. we truly experience the full range of human emotion"
From the quote alone you can see how Lisa has become an icon to many in Toronto Jazz circles. 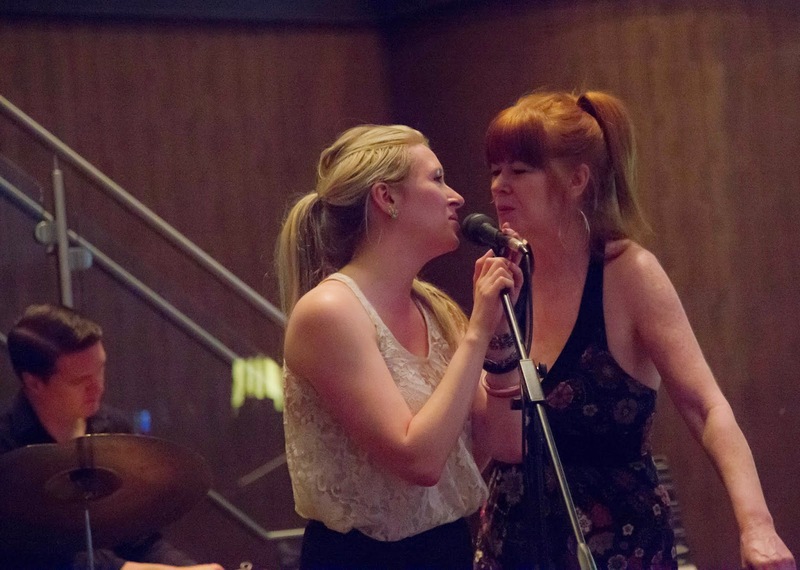 When Lisa started GNO there wasn't anywhere welcoming or nurturing for women jazz singers to practice and learn their craft in our fair city. So Lisa created one! But she didn't stop there! She also created the GNO Scholarship Fund for singers who had to take an extended break from their musical education due to circumstances beyond their control. 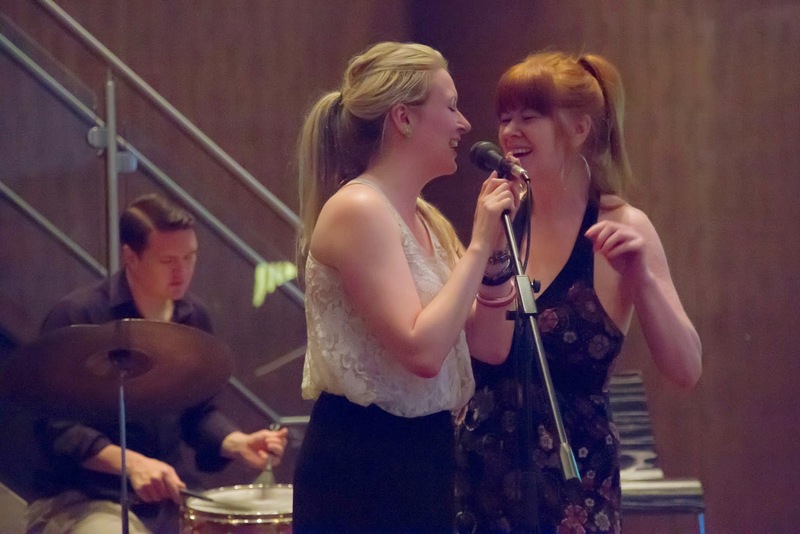 "Girls Night Out Jazz (or GNOJAZZ for short) was born from a simple idea. Jazz vocalists of all levels should have a place to gather, share, learn, grow and sing where they would feel safe and relatively free of judgement be they professionals trying new tunes and also for the beginner who is wondering what those things called “charts” are, and how do you get them"
Each week Lisa hosts an incredible assortment of singers, male AND female, backed by a fabulous house band, this particular week it was Peter Hill on keys, Brendan Davis on bass and Louis Botos Sr.on drums. 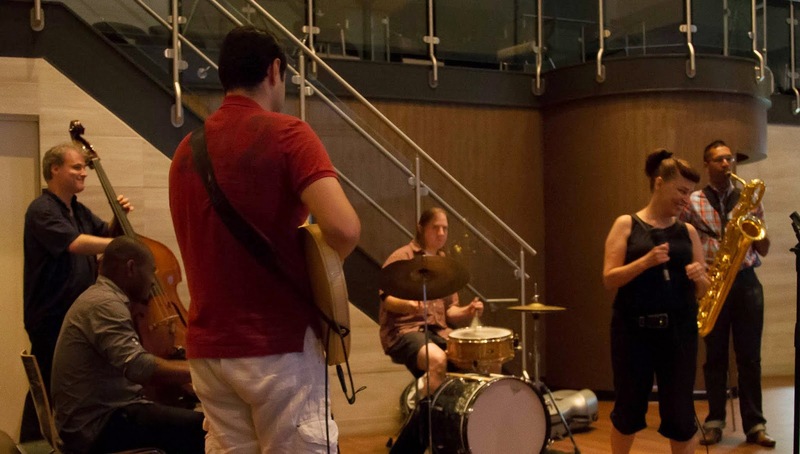 Although musicians are welcome to sit in, this jam is different from most as it focuses on singers. Lisa, clipboard ever at the ready, is excellent at ensuring fair opportunity for every singer in attendance, even those that need a little coaxing! GNO currently operates out of Chalkers Pub near the Allen and Glencairn. On the upper floor of a small strip mall, the atmosphere is cosy, warm, relaxed and inviting. The bar and wait staff are pleasant and very efficient, the food and wine lists are just a cut above without being pretentious (in attitude OR cost) and there are numerous pool tables to keep you busy between sets (but thanks to a wonderful layout they are never a distraction during a show).You are likely to be treated to freshly baked cookies from a singer or patron, and have the opportunity to pick up some of Louisa LaBarbera's hand-crafted jewellery (portion of proceeds go to the GNO Scholarship fund) .You will most assuredly make some new friends. I met a two new wonderful friends this past Wednesday, Kristina Nojd who sang Small Day Tomorrow and Chelsea Keeney with her rendition of Last Night When We were Young. This week at GNO was actually a celebration of Lisa's birthday. While I drooled over Lisa's incredible shoes Whitney Ross-Barris sang the Norwegian Birthday song over the phone (mic-ed so we could all join in). The crowd was pulsing. Linda Carone and Bobby Shu, who had been at Pat's Jam the day before, came out to celebrate with Lisa . Ori Dagen popped in, as did Ross MacIntyre, all gussied up! There was a beat poet and an incredible jazz rap lyric poem by Chris Hercules titled Things Remain The Same. Angela Teek, currently playing weekly at Belleeny's (under the musical direction of Bernie Senensky) dropped in to sing and my good friend Darlene (you'll be hearing more about her soon!) got up for a song too! The jewel of the night was a performance by a woman whose name I WISH I was able to provide, but unfortunately can't, who sang a husky throaty personalized version of Sea Lion Woman. I was so wrapped up in the spell she wove that I wasn't able to ask her name. My only regret of the night. A wonderful friend to GNO and talented photographer Greg King, took some incredible pics. They should be uploaded soon to Girls Night Out Jazz on Facebook so "like" the page and keep checking back. Lisa had a mission. A simple idea. Each week she succeeds in making that 'simple idea' a reality for dozens of singers, and a very appreciative audience! 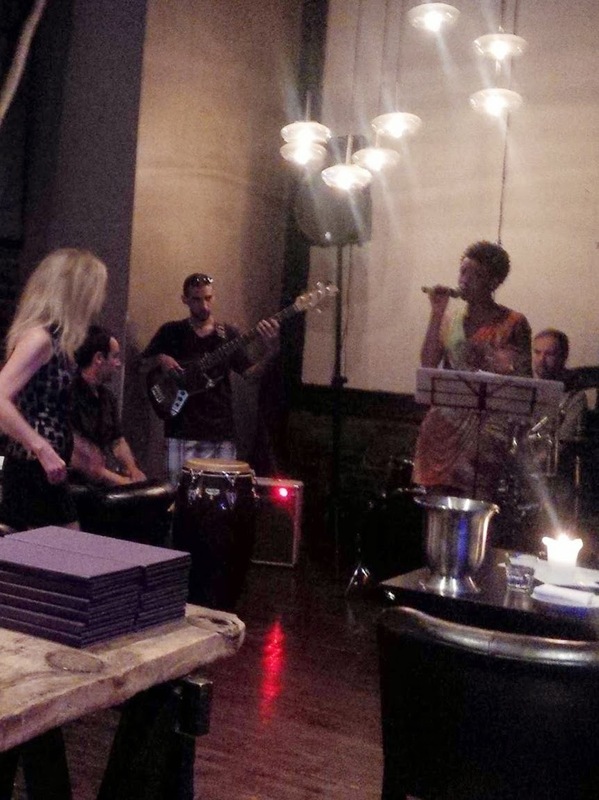 Where would the Toronto Jazz scene be without Lisa Particelli and GNO? On behalf of a very grateful city, this Jazz Brat thanks Lisa for being an inspiration, an icon and a mother hen to all our great, and wanna-be-great vocalists. Never stop Lisa! Shahi, Pat and Lisa are all incredibly gifted singers, but more impressive is their unflinching desire to help others. Singers are much maligned for their narcissism. Not these ladies. They are each, in their own right, an inspiration and a delight to know. I am so thankful these three women call Toronto their home, and even more thrilled to be able to pop out on a weeknight and enjoy the live music they foster. Autism Moms Unite at The Iron Bridge Inn!